Twelve Holiday Stories by twelve bestselling young adult writers, edited by international bestselling author Stephanie Perkins. Whether you enjoy celebrating Christmas or Hanukkah, Winter Solstice or New Year's there's something here for everyone. So curl up by the fireplace and get cozy. You have twelve reasons this season to stay indoors and fall in love. I love Christmastime so of course when it came down to me to choose December's Book Club book I had to choose something Christmassey! 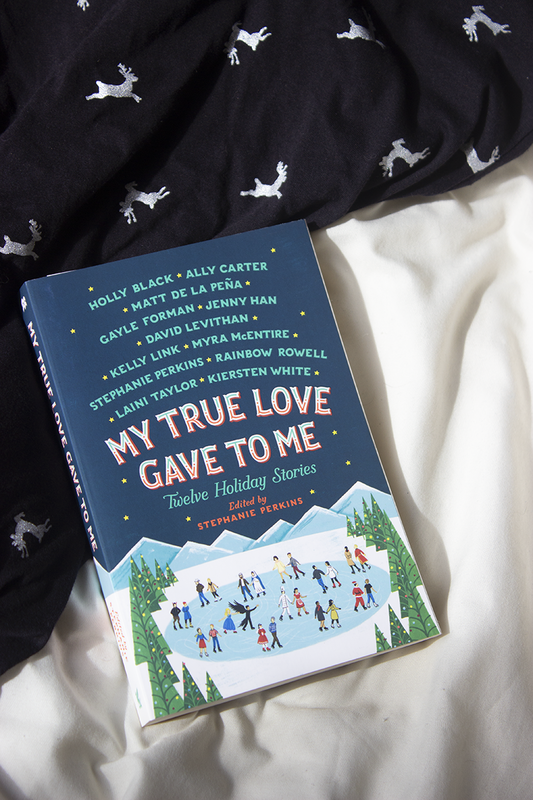 Whether you're a fan of Rainbow Rowell, Laini Taylor or the most recent re-obsession with Jenny Han (after To All The Boys I've Loved Before came out on Netflix) you'll be sure to love at least one of the twelve festive stories in My True Love Gave To Me. Plus can we talk about the cover? Isn't it adorable? Yes I may have only wanted to own this on the premise of its cute cover but then I saw which authors were involved and I had to read it! After receiving it I've also discovered each story has a cute wee illustration on its title page and they're just as adorable as the cover! Grab yourself a copy from your local bookshop, library or hop onto Book Depository. It's up to you whether you read some or all of the twelve stories, but be sure to share your thoughts with us via this Google form by December 21st. You can also use the hashtag #bookshelfbookclub to share your book photos and thoughts with us too! If this doesn't sound like your thing (cough Grinch cough) then don't you worry, Book Club will be back next year with some new exciting improvements so keep an eye out for that announcement! Until then, have a great Christmas/Hanukkah/New Year/Holiday or whatever you celebrate!